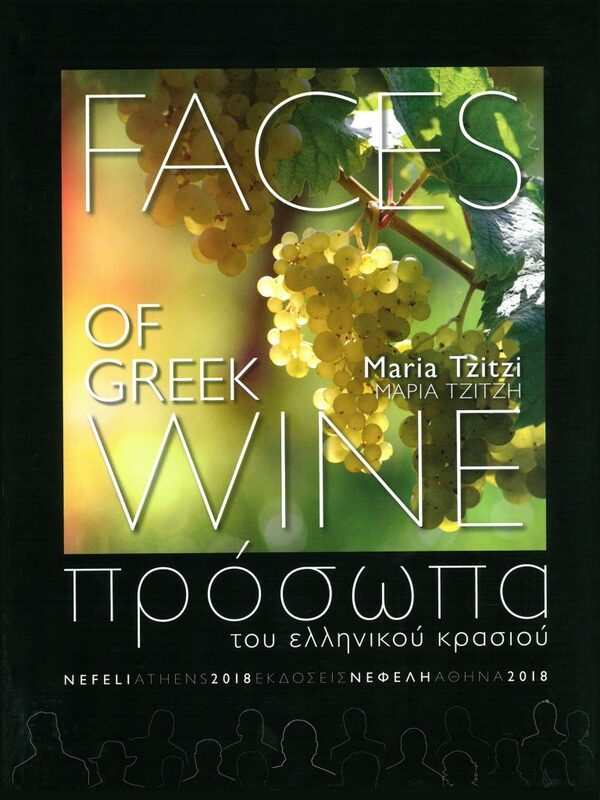 “Faces of Greek Wine” has triggered the meeting of two of the most notable women in the Greek wine industry today. On the one hand, the author Maria Tzitzi with an impressive resume as a Chemist, Oenologist, Wine Judge in top international competitions and Holder of the Prestigious title of ” Chevalier dans l’Οrdre du Merite Agricol by the French state. On the other hand, Ioanna E. Tsantali, Chairman of the Tsantali winery, one of the most historic and innovative wineries in Greece. On the occasion of this book, Ioanna E. Tsantali gave one of her rare interviews to the author. 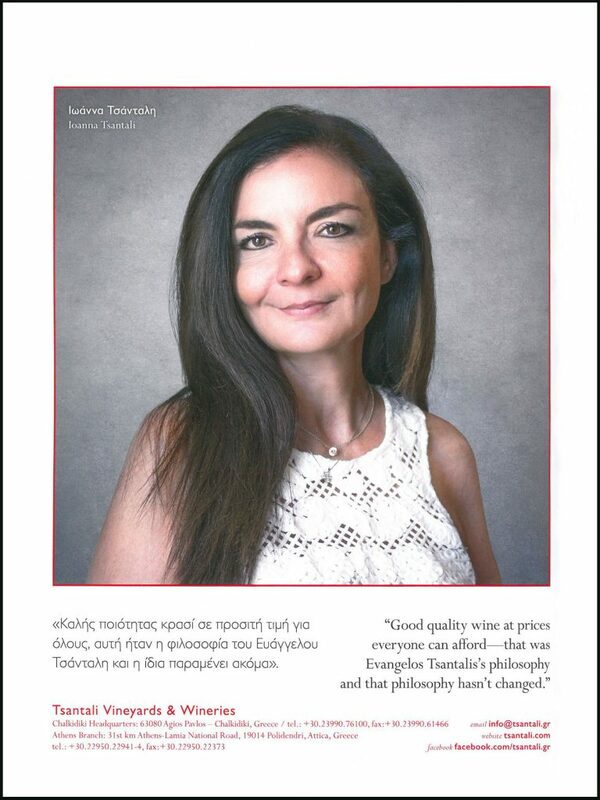 The core of the heartfelt talk was about her father, Evangelos Tsantalis. How his vision, values and heritage was passed on to the next generations. 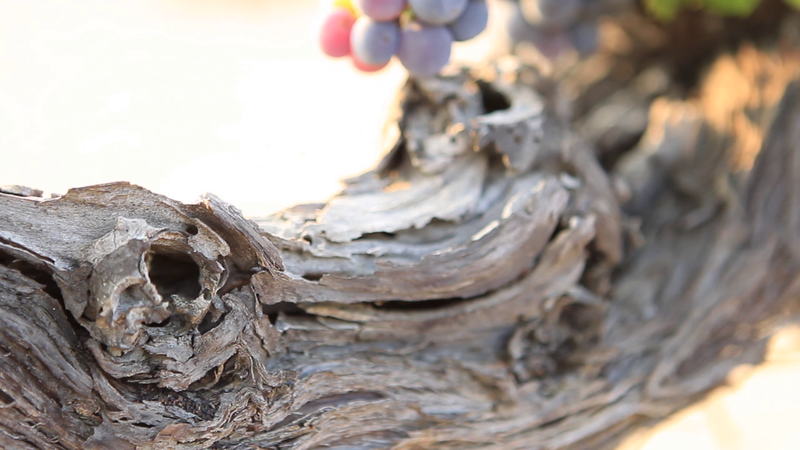 How his work created one of the major Greek wine brands and opened the doors of foreign markets to Greek wine. 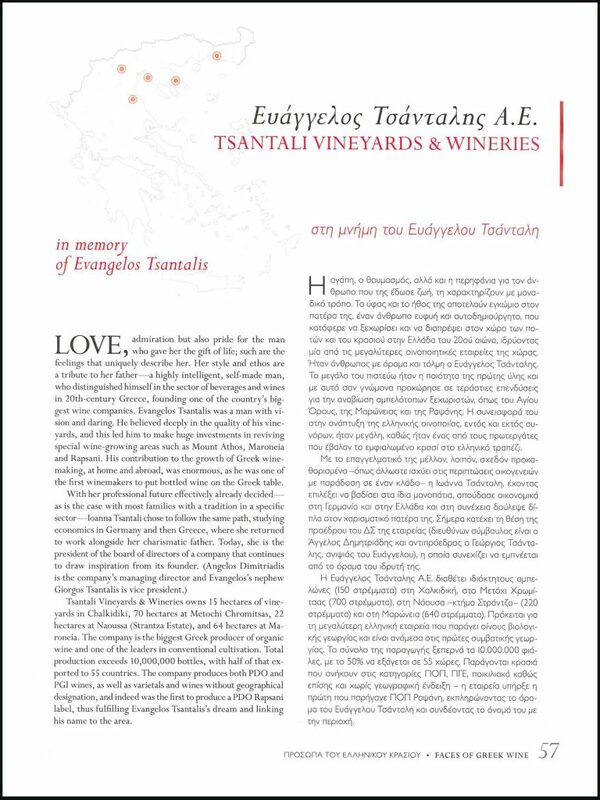 It is our privilege to be part of this unique publication that was surely missing from the Greek wine bibliography.